Editor’s note: This is the first in a series of posts profiling several of our Vista® Education and Training facilitators from around the world. For more information on our Vista courses, visit vista.cookmedical.com/urology and choose your region. Prof. Evangelos Liatsikos has been a key partner in education with Cook for over 10 years. He has led upwards of 95 product-focused, peer-to-peer Vista courses, in addition to other hands-on workshops and trainings around the world. 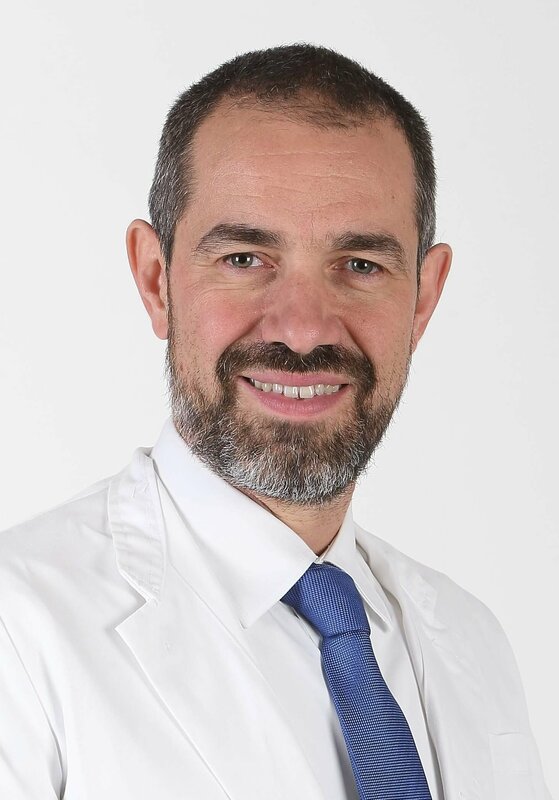 This year alone, he is slated to lead several Vista courses on the topic of prone PCNL and URS at the University of Patras, in Patras, Greece. We recently spoke with Prof. Liatsikos about his passion for education, his training adventures, and his vision for the future. Q: How have you seen education evolve over the years? A: Education changes. The need for education changes. In the beginning, people wanted to see you operate because it was very difficult; there were no computer connections, there was no YouTube, so they couldn’t see you operate from afar. They could come to you and they were very satisfied if they would just see you operate. Now people want to do. They want hands-on. 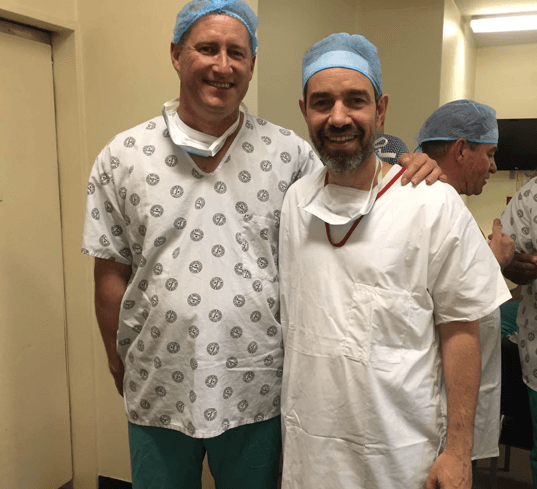 Prof. André van der Merwe, head of urology at Stellenbosch University in Stellenbosch, South Africa, and Prof. Evangelos Liatsikos during the second leg of the four-day, four-hospital series of education workshops in South Africa, May 22-26, 2017. The tour started in Johannesburg, where PCNLs were performed at Life Flora Hospital and Chris Hani Baragwanath Hospital. Then the tour proceeded to Cape Town, where PCNL and flexible ureteroscopy cases were performed at Groote Schuur Hospital and Tygerberg Hospital. Prof. Liatsikos proctored the trainings, gave lectures, and provided instruction to the approximately 40 South African physicians in attendance. The workshops included hands-on trainings with Cook products. Q: What other educational opportunities do you lead? [Cook Medical’s] Vista is the number one. Then I have a fellowship program where people come for one or two years. And one of the prerequisites for me is to find people that would mainly stay in academics. And then, handling courses and meetings, and being involved also in the ESUT. This is big. Training, training, training. Q: Where do you find your enthusiasm to do training? A: You have to have two characteristics: One, you have to be a bit crazy, because if you are not a bit crazy, you don’t do all those trainings. Second, you need to remember when you were young, what happened and how you learned how to do everything. There were some other crazy guys that planted something in us and they trained us. So, this needs to continue. Q: What is your vision for the future of education? A: Education adapts to technology. So, everything will move towards technology. We will go into virtual systems, computer platforms, all that is very exciting. It will come very soon. Distant proctorship [tele-education] is going to happen. It is already feasible in the Western world and it will also be feasible very soon elsewhere. Meetings will be developed in a different way. There will be some big meetings, but all the other training meetings will be on the web. Q: In addition to the courses in Patras, you’ve traveled to some interesting locations for education events. Tell me about your travels and why it’s important to educate in different countries. A: We’ve done two road shows, one in China and one in South Africa. The road shows are something really interesting for me because I’m a strong believer that, in education, one physical person cannot educate the entire world. You need to have a pyramid kind of concept. You need to identify the people in each country that you will train and then they will have to train the others, so it has to expand. Prof. Liatsikos is a paid consultant of Cook Medical.